Museum magic does not stop in the Parisian capital. 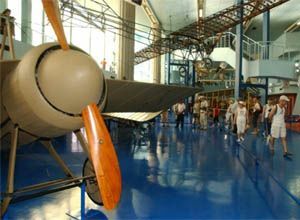 Seine Saint Denis territory counts for more than a dozen rather unusual and interesting museums that are worth checking out other than the renowned museums such as Le Bourget - Air and Space Museum and La Villette - Music Museum. Seine-Saint-Denis is a department belonging to île-de-France region. Located in the northeast this district of the Great Paris is made up of 40 communes. The Second World War caused 55 million deaths, a total war which affected civilians for the majority. The visit of commemorative sites is a particular experience. Understand the various customs of commemorative sites and the limits of “tourism and memory”. 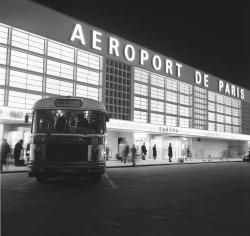 Seine-Saint-Denis has seen its aviation infrastructure expanding with continuous development on its territory. Le Bourget is witness to the first breathtaking aerial exploits. Charles de Gaule airport in Roissy has expanded - with the construction of three terminals: Terminal 1, Terminal 2 and Terminal 3, thus becoming the second airport hub in Europe. The National Archives preserve some milestones in the history of France. The archives have now moved to the modern site of Pierrefitte-sur-Seine in Seine-Saint-Denis. French President François Hollande inaugurated a new Shoah memorial center in 2012 in Drancy, city in the north of Paris, at the site of a major transit camp for deported Jews. Basilica of Saint Denis is a major masterpiece of the first Gothic architectural cathedral located in the medieval city of Saint Denis. It is also the necropolis of Kings of France. Bridges and locks on the Seine River and Paris canals. Discover the main engineering structures in Seine-Saint-Denis.